S. Afr. J. Bot. 90 (2014) 118-127. Deciduous geophyte 90-130 mm tall when in flower, tuber turnip-shaped, elongated or moniliform. Radical, simple, lamina ovate to broadly ovate, 25-43 x 15-25 mm, apex obtuse, base cuneate to truncate, margin entire, adaxially covered with patent to appressed stiff hairs, sparely interspersed with glandular hairs, abaxially sparsely covered with very long glandular hairs and appressed non-glandular hairs, margins ciliate with distally appressed coarse hairs. Stipules 10-15 mm long, subulate, adnate to petioles with apices free. Scape, bearing 2-4 pseudo-umbellets, each 3-6-flowered. Pedicel cca. 0.5 mm. 5, posterior one erect, others reflexed, 6-10 x 1.5-2 mm, reddish green in centre with green membrane-like margins. Hypanthium 20-27 mm, 2.7-3.5 times as long as the sepals, reddish green. 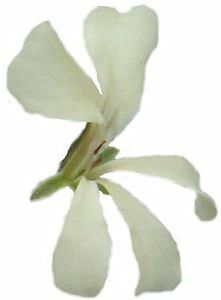 5, pale yellow or cream coloured, spathulate or ligulate, patent, flowers bell-shaped during anthesis, posterior two petals slightly curved backwards; posterior two with V-shaped dark pink markings or sometimes blotches, 16-21 x 4.5-6 mm, length/width ratio 3-3.5, apices rounded, anterior three 14-18 x 4-5 mm, apices rounded. 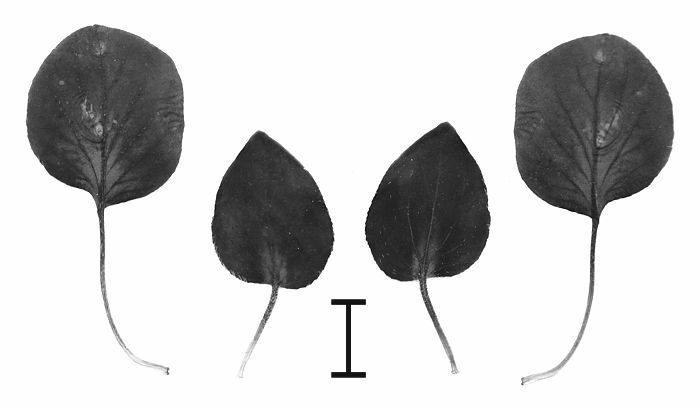 5 fertile, concealed in the floral sheath, posterior one 3-4 mm, lateral two 4-5 mm, anterior two 5.5-6 mm long, shorter than the sepals. P. flavidum was described by Knuth already in 1912 as P. sulphureum, though this name is not valid as it had already been used for another species, i.e. P. sulphureum (Sweet) Steudel. 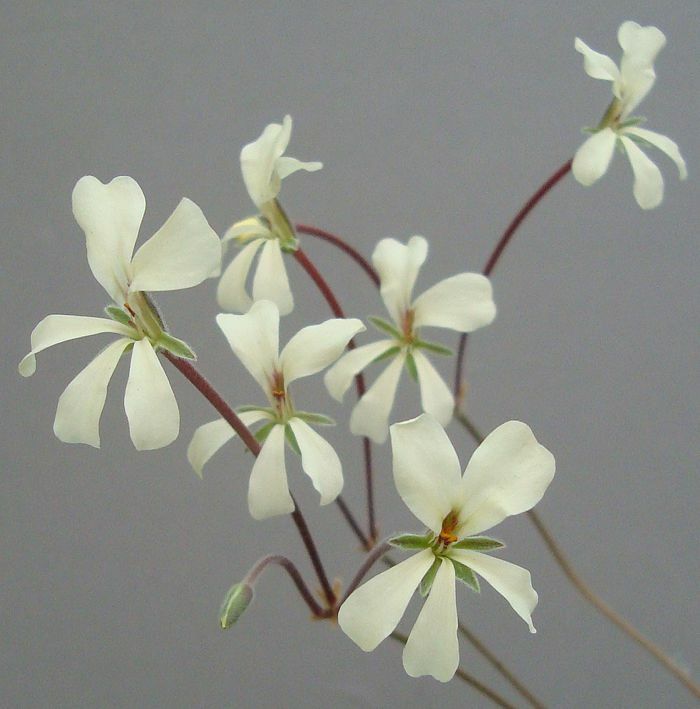 It resembles P. ladysmithianum in the colour and structure of the flowers, as well as the simple prostrate leaves. 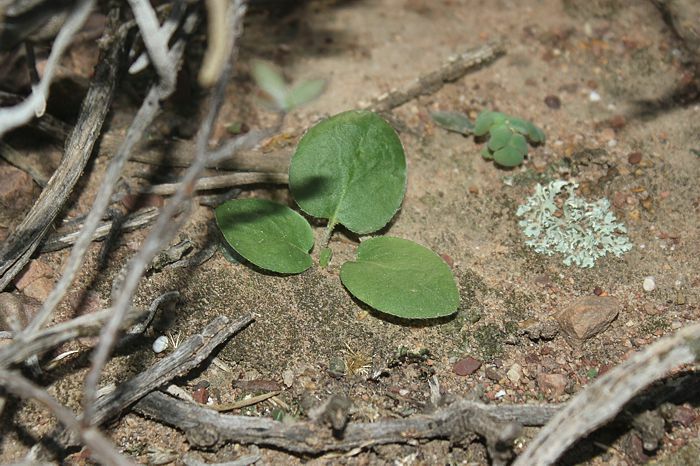 However, they differ with regard to the indumentum on the leaves, scape, peduncles and hypanthia. P. flavidum has large-headed glandular hairs, interspersed with appressed curly hairs on the hypanthia, while P. ladysmithianum has long and short glandular hairs with small glandular heads and very long patent non-glandular hairs, visible to the naked eye. 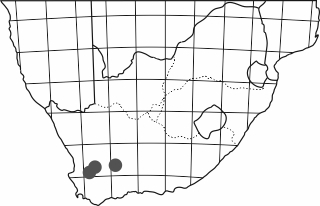 P. flavidum has a limited distribution area around Worcester and in the Hex River valley and as far east as Ladismith, and flowers from September to October. This is a little known species that has been hiding in plain sight: for a habitat photo see P. keeromsbergense, which keeps it company in the suburbs of Worcester, along with P. luteolum and P. rapaceum. sulphureum R. Knuth non (Sweet) Steudel.